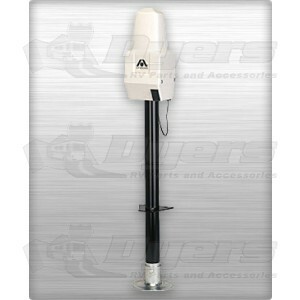 The Lightweight Power Jack is specially designed for smaller trailers with a 2" coupler. Power jacks make hooking up a trailer hassle-free. Rugged polyethylene cover and convenient push button operation.